If you live long enough, you will experience loss…loss of a job, a pet, a dream, your health, your youth, a relationship, your financial stability, your spouse or your child or your parent. Each loss we experience leaves a different mark on us, some very slight while others leave a lifelong mark. This article will focus briefly on healthy ways to grieve. It will also provide suggestions for those who want to know how to support a friend or loved one who is experiencing a time of grief and loss. Our society can make grieving a loss very difficult. It seems like people expect a grieving person to “get over it” quickly like one gets over the flu. Or we even expect it of ourselves and try to escape the pain of loss by jumping into a new relationship, finding comfort in alcohol or drugs, denying the hurt…there are many ways we can find to dull the pain. There are confusing, conflicting and unpredictable emotions that accompany loss. As Christians, we may feel that strong emotions like anger or fear are “wrong” and if we feel those emotions, we are not “trusting the Lord.” Our heavenly Father understands the pain of loss and separation and gave us our emotions to help us heal from the loss. Anger is part of the grieving process. In Isaiah 53:3, Jesus is described as “a man of sorrows and acquainted with grief.” David knew the pain of loss. In Psalm 31:9, he prays “be gracious to me, O Lord, for I am in distress; my eye is wasted from grief; my soul and my body also.” We don’t have to pretend that everything is fine! We may think thoughts like “I should be over this by now”—what’s wrong with me?” Grief has no predetermined time limits. 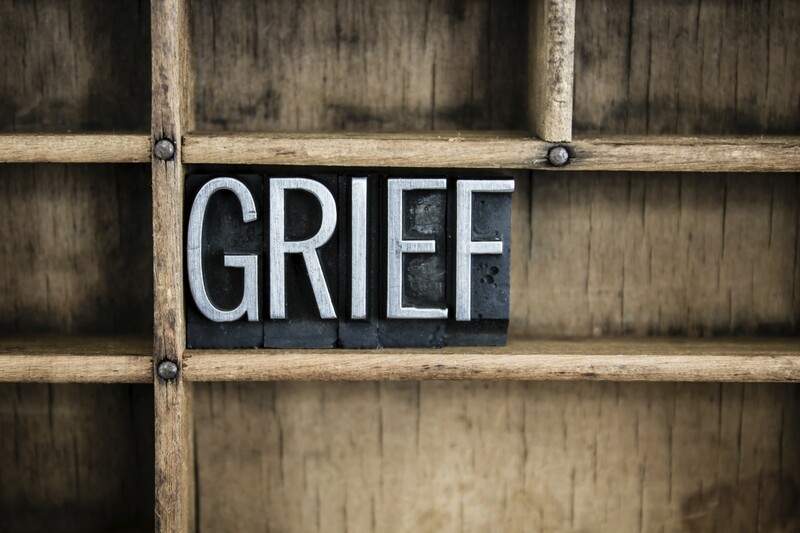 If you are grieving a loss, you will move through several stages: acknowledging the loss, experiencing the pain, adjusting to the loss with new roles and responsibilities, and eventually acceptance of the loss. Feeling isolated can be a hard part of the grieving process. It may be helpful to find a support group to help you feel less alone. GriefShare is offered by many churches. There are also support groups for people who have lost their jobs. Support groups are offered for a variety of health challenges. Lastly, how can you support a person in their grieving period? Words are usually not necessary, but your presence can speak volumes. Allow the person to talk about their loss. Allow them to cry without trying to “make them feel better”. Avoid phrases such as “he/she is in a better place”, “you can always have another child”, “that job wasn’t so great anyway”, “it’s just a cat!” Bearing witness to another’s pain and suffering is part of fulfilling the teaching from Paul in 2 Corinthians 1:3-5. There are many helpful books and articles on the subject of grief. Two that I have found helpful are “Recovering from the Losses in Life” by H. Norman Wright and “A Grief Observed” by C.S. Lewis. You might also read this article on loss. If you find you need further support, please contact one of the counselors at Agape. Each of us would consider it an honor to walk with you through the dark valley you are experiencing.